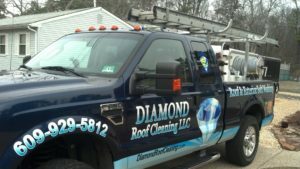 Diamond roof cleaning is the #1 choice for Roof Cleaning in Medford NJ. We are the most experienced and knowledgeable Soft Wash Contractor in South Jersey. We put you the customer as our first priority and we will go to great lengths to make you 100% satisfied. Our Medford Roof Cleaning process has been perfected by us over our 9 year period of being in business. We have teamed up with a company called Soft Wash Systems. They have been at the forefront of producing Cleaning Solutions and Equipment that is built to our soft washing specs. 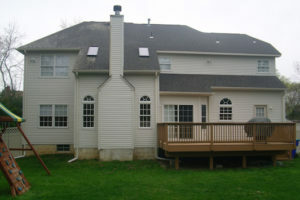 Our process is unmatched by our competitors and we also provide a 5 year warranty with our roof cleanings in Medford NJ. Now. What is growing on your Medford NJ roof? The black stains you see are scientifically called Gloeocapsa Magma. Basically, this Algae feeds off the limestone dust that is embedded into the shingle. It usually only will grow on the north facing side of the roof, but it can harvest on the south and other sides of the roof as well. This is why we suggest to clean and treat the entire roof. By us doing so we can be totally confident in that all the black algae is 100% eradicated. 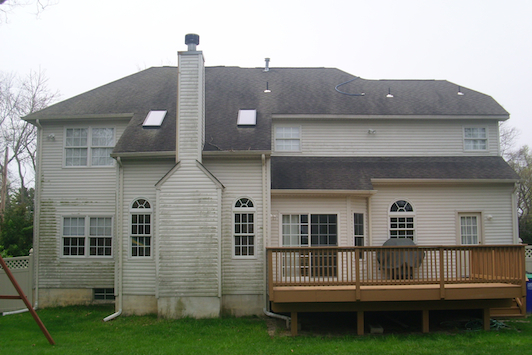 Below is an example of what our Soft Wash Roof Cleaning in Medford NJ results will be. Moss in Medford NJ is another well known problem because of the trees in the area. 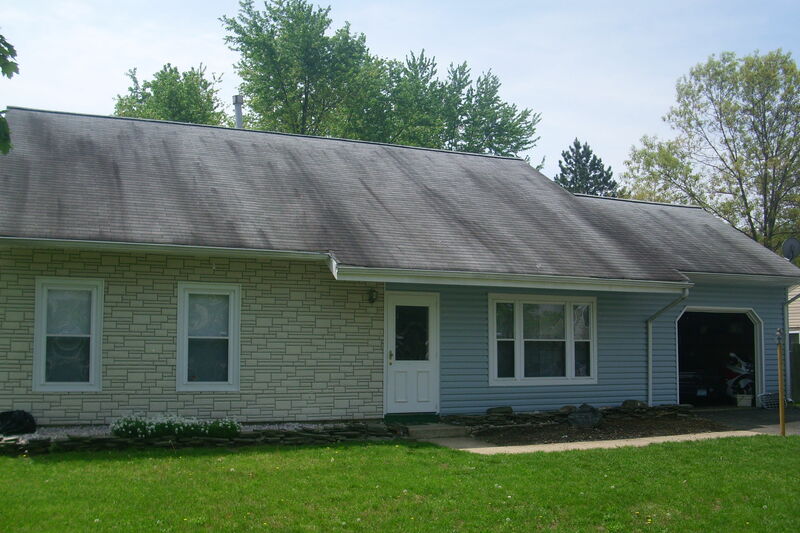 Heavily wooded area will allow for more moss growth on your roof surface. Moss is generally found where oak tree are overhanging the House. Each spring these tress will pollenate and drop the moss spore onto the roofs surface. It will then start to attach and grow to the granules. The roof systems can grow under the shingle tab and potentially cause the tab to lift and possibly fall off causing a water leak. Again our Cleaning Solution will treat and kill the moss from the top down to the root system. from this point after treatment it is best to allow it to be washed off with rain. This process can take up to 4 months to completely remove the moss. 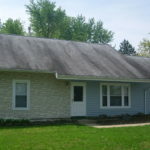 We do offer a low pressure rinse if you need the moss off right away but it is highly not suggested because there is a chance that the rinse could cause damage to the shingle because the moss isn’t fully ready to come off yet. Again we do give you options but the best one is to allow the process to do its work. 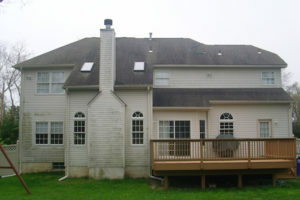 Below is an example of what our Soft Wash Moss Roof Cleaning in Medford NJ Will Be. 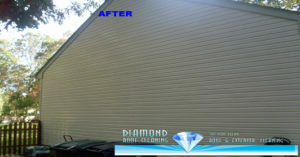 Diamond also offer pressure / power washing in Medford NJ. Now we highly recommend you never have your roof pressure washed. We also never recommend to have your Siding pressure washed as well. The reason is that using high pressure on a plastic vinyl or even a soft dryvitt or a stucco house can again cause damage to the surface. High pressure washing can also cause damage to the window and door seals. We only recommend to use power washing on surfaces like some Bricks, Pavers and Concrete. When we clean these surfaces we still use a 3 step process to ensure we get the surfaces as clean as they can be without any trace of mold or mildew left behind. Our concrete will stay cleaner longer compared to conventional power washing. 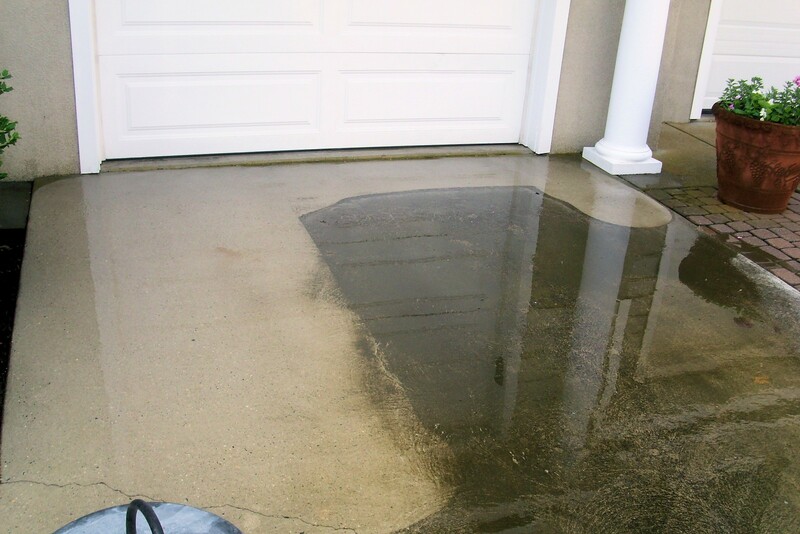 Below is an example of our concrete cleaning process. 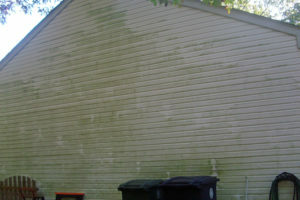 As we discussed in the last paragraph that we never suggest using high pressure washing for your siding. In fact using just garden hose pressure we can clean your home better than what a power washing can do. There are stains that we can remove that just water power washers cannot. Our results will be night and day compared to our competitors that we guarantee our work 100% or its on us. Yes its that effective that we can make that statement. Also our house washes stay algae free for up to 3 years. 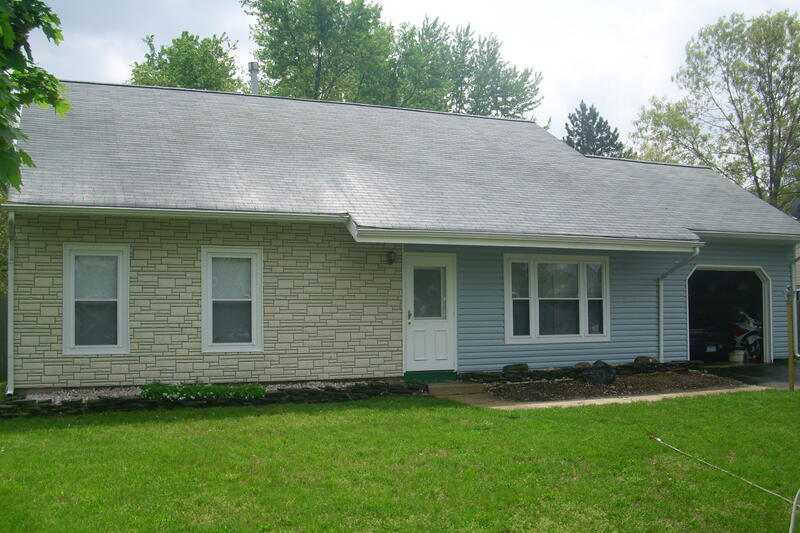 Below is an example of our soft wash house washing in Medford NJ. If there is a service that you need but do not see it listed, most likely we can do it. 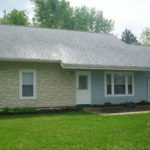 We will find a way to clean it or recommend someone who to call to get the job done correctly. To see a true Soft Wash difference give Diamond Roof Cleaning a Call at 609-929-5812. As Always we do Free Estimates. The area known as Medford was sold to Samual Coles in 1670, in all it consisted of 900 acres (3.6 km²). Within the next few years the Braddock, Pickett, Stratton, Branin, and Wilkins families moved to the area (many of whom continue to live in the area today). Upper Evesham, as it was then known, continued to grow from scattered homesteads into a small village. Many of the building and roads built between the sale of the land and the American Revolutionary War are still in existence, which include Oliphant’s Mill, Christopher’s Mill and the Shamong Trail (now known as Stokes Road).